I bought a vintage portable record player a few months ago, and now I've moved, its time to get it out. I started off just cleaning it, but then got all excited about trying to get it working.....so I took it apart. 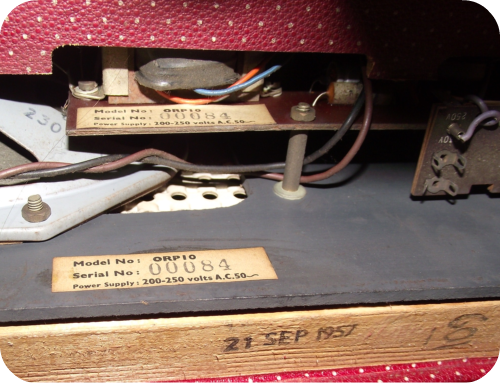 Here you can see the internal date stamp - 21st Sep 1957, and the two seriel labels. 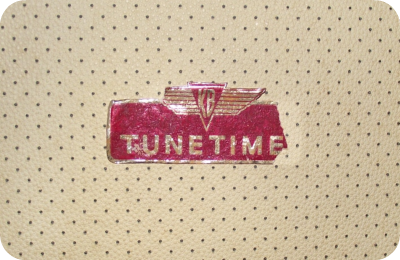 The portable record player is a KB TuneTime and aimed at the teenage market I would presume! The speakers work, and I can make some noise by manually turning the turntable. It seens to be a problem with the power to the turntable, but I have fiddled as much as I can with all of the levers and can't see a problem. It may well be that the power isn't making it to the turntable....? I did take it to a local audio shop, which even has vintage players in the window. They just moaned about fixing it, and saying that the men hated fixing these, so they can get put to the back of the queue. It made me not want to give it to them. However I may well have to admit I can't fix it. I will add this link to a relevant forum, and you never know........perhaps the internet will help me fix it!